Summer: a time to soak up the sunshine and spend time with family and friends. What better way to do that than enjoying all the FREE activities the Lansing area has to offer. 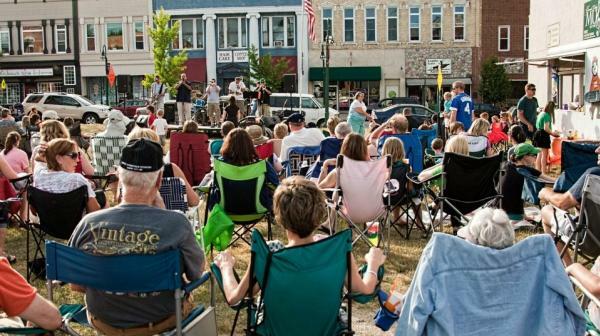 From concerts in the park to movies in Courthouse Square, there are plenty of nights filled with entertainment going on every week throughout the summer! Instead of fireworks popping, bells will be ringing along the tree lines of MSU campus on the 4th of July! ​The Muelder Summer Carillon Series runs consecutive Wednesdays at 6:00 p.m. until August 1. 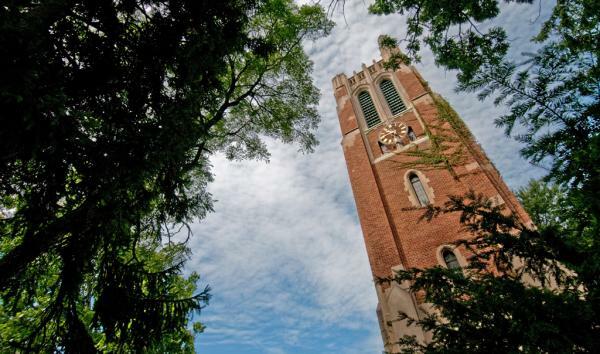 This is the perfect setting for audiences to come enjoy the beauty of MSU’s campus, picnic on the lawn and get an inside tour of the bell tower after the concert with carillon demonstrations! 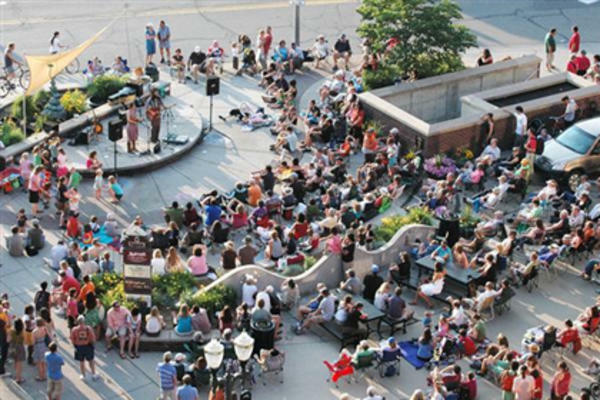 Spend your Friday night in Downtown East Lansing at the Summer Concert Series! Every Friday from 7:00 to 9:00 p.m. a concert will take place at Ann Street Plaza. Bring your own lawn chairs or blankets and take your front row seat on M.A.C. Or better yet, grab a spot at one of the nearby patios while you enjoy food and a show! Keep those blankets and lawn chairs handy because the Free Concerts in the Park series is back for another music-filled summer! 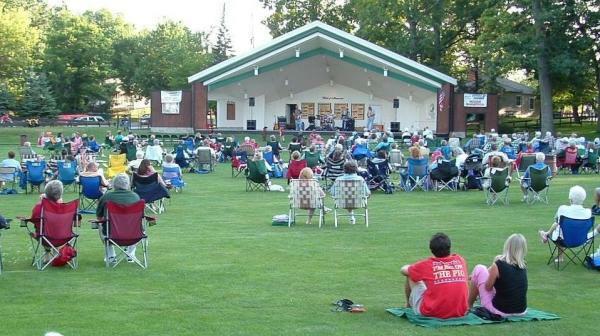 Each Wednesday at 7:00 p.m. an outdoor concert will take place in one of Lansing&apos;s local parks. Check the schedule here for exact park locations. Shopping AND music?? Your Tuesday night could not get any better than this. 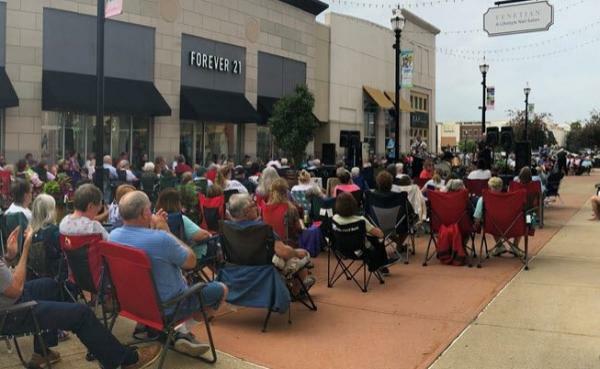 Head to Eastwood Towne Center every Tuesday starting July 10 from 6:00 to 8:00 to experience their Summer Music Series. Covering a wide spectrum of genres fitted to every music lover! This summer is all about the Grand Experience at the Lansing City Market. We&apos;ve seen food trucks, yoga, and kayaking but that&apos;s not the only activity taking place at this venue. 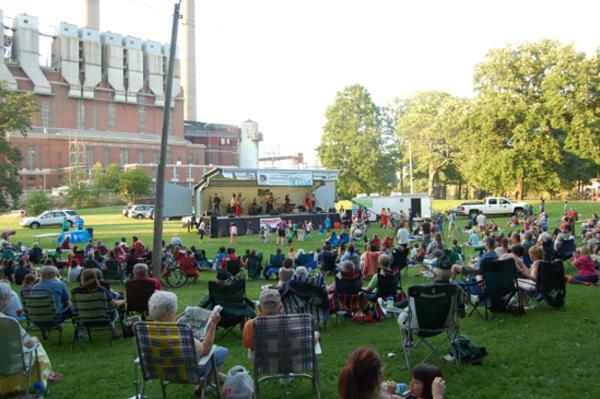 On July 12 and 26, August 16 and 23 and September 6 we can expect music along the riverfront from 6:00 to 8:00 p.m.
Every Thursday from 7:00 to 9:00 p.m. Jaycee Park is packed with people and blankets in hand, ready to move to the music! With a total of THIRTEEN performances throughout the summer, you have no reason not to make your way to Grand Ledge to experience this event for yourself. From Motown to Classic Rock the Lake Lansing Bandshell Concert Series has just about every music genre covered for your Friday nights out! Dance the night away to "Summer of 69" while your kids enjoy the moonwalk and giant slide in the park, guaranteeing everyone having a good time. Get your dose of nature and the sound of music all at once when you visit one of the TWO music in the garden series this summer! Every Thursday in July from 7:00 to 9:00 p.m. make your way to the Veteran Memorial Garden in Holt with a seat cushion in hand ready to take in all the tunes. 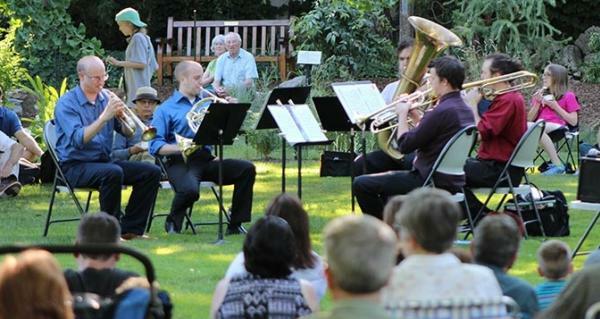 Don&apos;t forget to book these dates on your calendar: July 31, August 14, and September 4 and take that anticipated trip to MSU&apos;s Beal Botanical Garden for special performances from members of the MSU College of Music. Make your Friday night plans in Mason! Start your night grabbing dinner at BAD Brewing or a sweet treat at The Daily Scoop before making your way to the Courthouse Square at 9:00 p.m. for a special movie feature by moonlight. Your summer nights just got a little bit better. Who doesn&apos;t love an outdoor movie? Better yet, a FREE outdoor movie. Valley Court Park will be your favorite place to be on Thursday nights in July, as well as, August 2 and 9. With live music leading into a movie, you are sure to get all the entertainment you can handle! Check out the full schedule of movies and showtimes here and get your lawn chairs ready. The large 200 plus seat amphitheater at Veteran Memorial Gardens just got even better this summer! 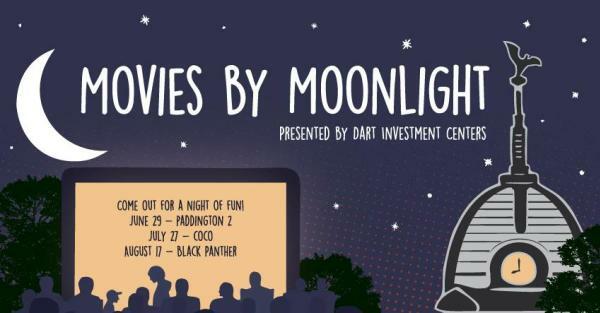 On July 27, August 3 and 10, Delti Charter Township will be hosting a moonlight movies series at 9:00 p.m. The best part, POPCORN will be available on site. Save the date for this exceptional event. There&apos;s no better view than a movie on the big screen with the Capitol building in the background. 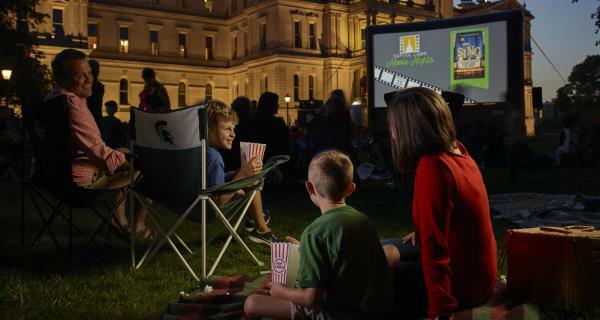 Movie night on the Capitol lawn is back on August 17 and 24 this summer! Keep an eye out for the which flicks will be playing on these special cinema nights. 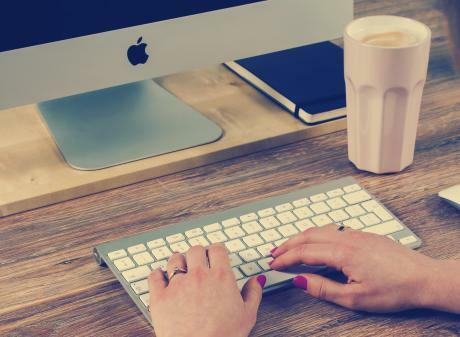 Running out of ideas to keep the kids busy this summer? East Lansing has you covered. Every Tuesday in July from 7:00 to 8:00 p.m. different entertainers will be performing at Valley Court Park. 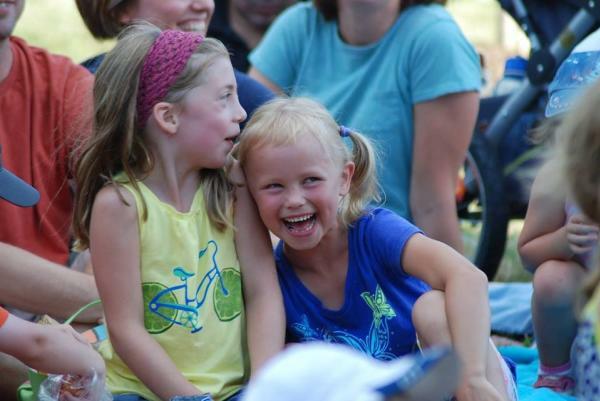 From magicians to Zeke the Wonderdog, this Play in the Park series is an interactive memorable experience that will keep your Tuesday nights booked for July. Here is the full list of entertainment! 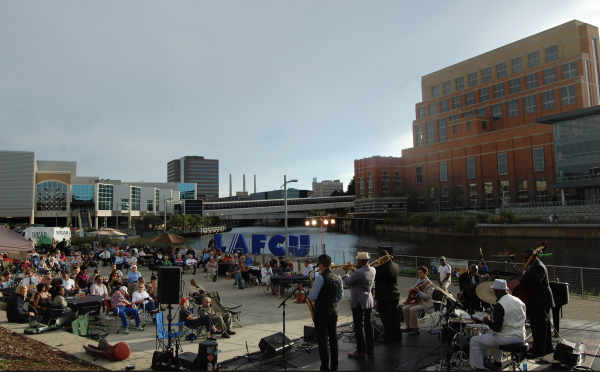 The Greater Lansing area will be booming this summer with free entertainment nearly every night. 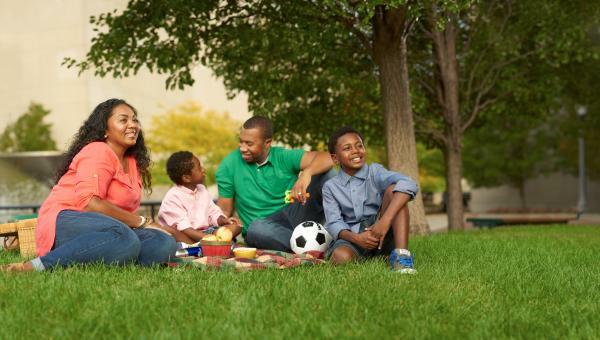 Gather your picnic baskets, blankets, and family and make your way to one or ALL of these entertaining summer events! It&apos;s time to enjoy our city and all of the talent residing within it.